The Copper King Mansion is a Bed & Breakfast, Tourist Attraction, Historic Destination, and One of the Top 10 things to do in Butte MT. Bed & Breakfast open all year. By appointment during the winter- please try to give us 24 hours notice. 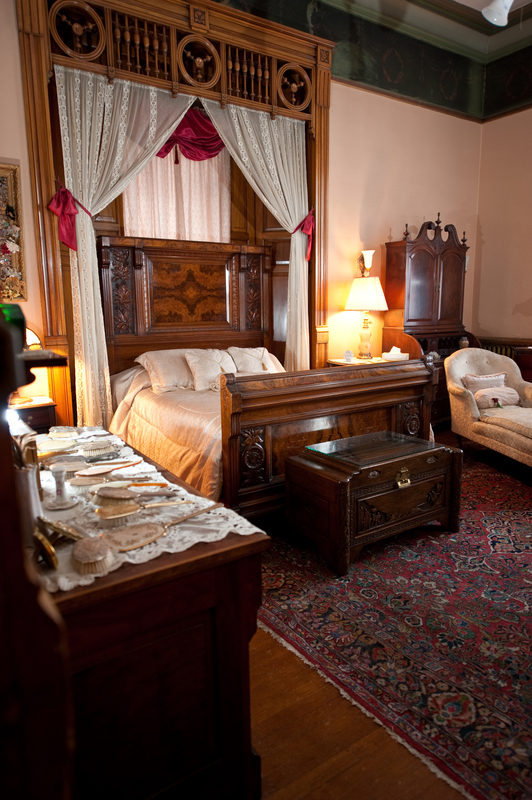 Guided tours of the Copper King Mansion are available during the summer months from 10am to 4pm. Guides lead tours through the 34-room Victorian mansion elaborating on the history of the building and the people who built it and made it their home, about the many unique aspects of the mansion's construction and operation, and about the many original artifacts that furnish the mansion. Tours are $10 for adults and $5 for children. The Copper King Mansion is a lovely setting for a wedding or special event for you and your family. The charge to rent the first floor of the house is $500. Please call Maria at 490-5643 to schedule your event. W. A. Clark began construction in 1884 and it was completed in 1888. Construction was under the direction of D. T. McDevitt with the woodwork the responsibility of W. F. Beall & Co. from Chicago. The materials for the home were all imported at a cost of about $200,000.